NEW! 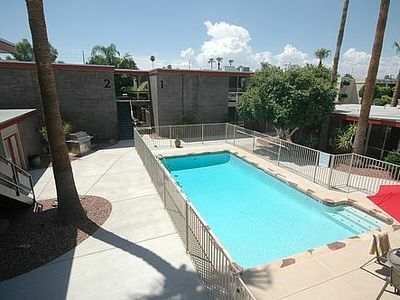 1BR Phoenix Condo w/ Resort-Style Amenities! Take full advantage of your much-needed break and escape to this impeccable 1-bedroom, 1-bathroom Phoenix condo with pool and palm tree views! Accommodating 2, this home is ideal for your adventure weekend or your romantic retreat. And the first-class amenities, like pools, hot tubs, fitness centers and more, will make you never want to leave! Updated decor and resort-style amenities make this condo the ultimate home-away-from-home for your trip. You'll love the tropical wall-hangings, the large plants placed throughout, and the natural light that pours in from the windows. 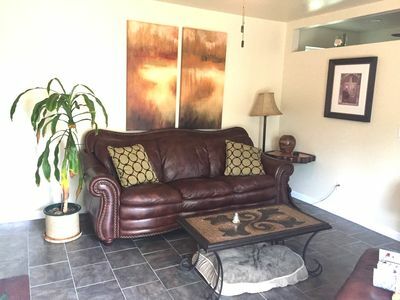 Also, the unit is complete with all the modern comforts of your own home, including in-unit, full-size laundry machines, high-speed wireless internet access, and 2 TVs - one in the bedroom and one in the living room, each equipped with digital antennas and 2 DVD players. The cook will fall in love with the fully-equipped kitchen! You and your travel companion can enjoy delectable meals at the gorgeous, high-top dining table. Dishes will even be more enjoyable, as you can stare out the sun-kissed window above the sink and soak in the vitamin D. After dinner, relax on the pillow-backed couch or extra-wide chaise and flip on the TV if you choose. Or, head out on the patio with a few drinks and spend the evening connecting in conversation. When the night concludes, you'll happily crawl into the king-sized bed with plush pillows and blankets galore. Warning: you may not want to leave the comfy bed come morning! When you're not out and about, avail yourself of any of the community pools, workout room, or office space - boasting high-speed internet, 3 computers, a printer and a fax machine, connected to receive faxes and send faxes anywhere that's not international. 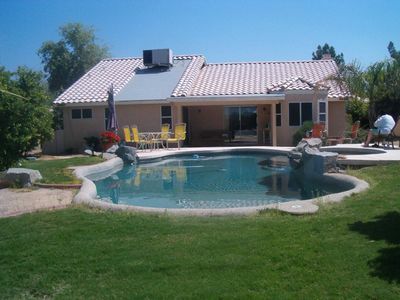 At the end of the day, watch the Arizona sun slowly disappear as you watch from inside the community hot tub or behind the grill. Other community amenities include a community center, a pool table and outdoor gas fireplaces surrounding the main pool. See why Phoenix is truly a vacation destination for all. Sublime views of Camelback Mountain excite the adventurers as they prepare to tackle the trail the next day. A lively nightlife scene entices the night owls to stay out and experience everything from shops and restaurants to galleries and museums. This condo puts you in a place where you don't have to choose between the two. 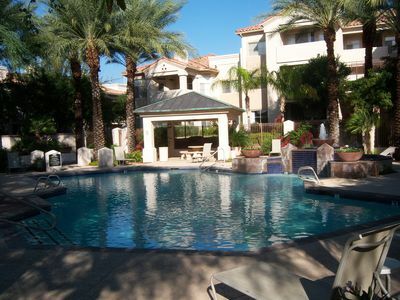 You could spend your entire vacation in the condo, or you could head out and explore all that Phoenix has to offer! Nightlife, art galleries and fine dining await you in downtown Phoenix, which is less than a 15-minute drive, or try the nearby light rail to save on parking. Must-sees for the area include the Phoenix Art Museum, the Heard Museum, the Desert Botanical Gardens, Chase Field and The Phoenix Opera, and so much more. If you're looking for some nearby shopping, take a 10-minute drive to Biltmore Fashion Park. 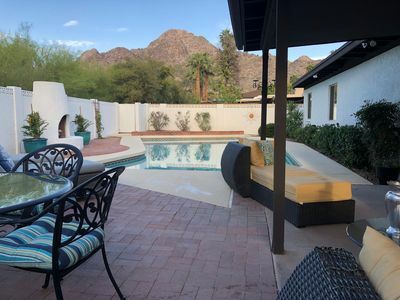 The property is also situated just 25 minutes away from Scottsdale and the Scottsdale Stadium, where the San Francisco Giants' Spring Training takes place. In town for the outdoor options? You're in the perfect spot. 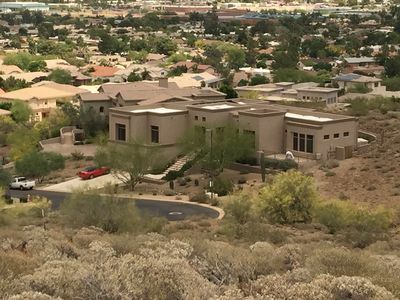 Camelback Mountain is just 20 minutes away, where hiking and mountain biking trails wait to challenge you. 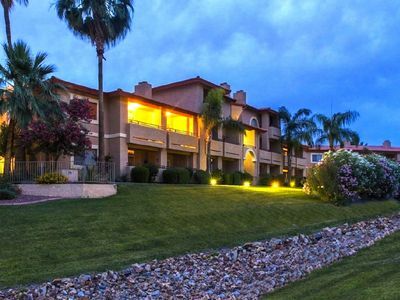 For any Phoenix getaway, book your stay in this fabulous condo, and you're sure to have an unforgettable experience! 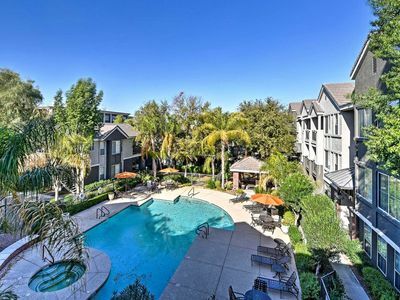 - Amenities include a fully equipped kitchen with a crockpot, wireless internet access, 2 DVD players, air conditioning, private balcony, charcoal grill, community swimming pool, community hot tub, fitness center, free parking, shared cinema/movie theatre, in-unit laundry machine, and much more! 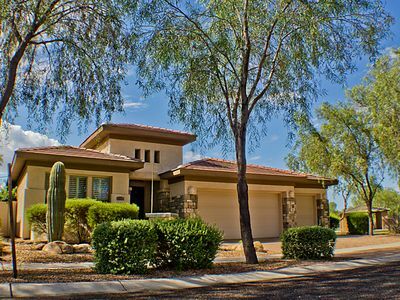 - Fantastic Phoenix location - close to Spring Training, Camelback Mountain, hiking and mountain biking trails, shops, restaurants, galleries and more! 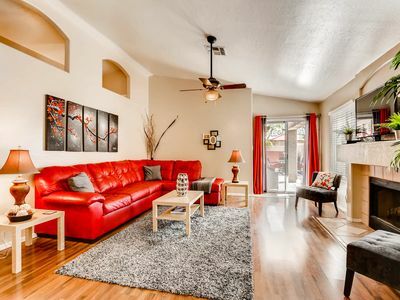 - 9-block walk to the light rail, providing easy access to downtown attractions! Snow Bird Dream For Sunny and warm days during cold northern winters.